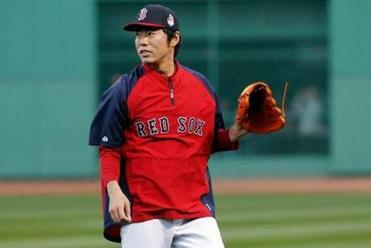 Koji Uehara is blogging about “The battle against St. Louis” in his native Japanese. In the early hours of misery after one of the cruelest World Series defeats in franchise history, Red Sox fans unleashed torrents of frustration. At the umpires, for the obstruction rule. At Jarrod Saltalamacchia, for the wild throw to third. At manager John Farrell, for the questionable strategy. Koji Uehara was upset, too — at himself, for surrendering the hit that fueled the Game 3 rally. But no one reading the Boston papers or watching local television the next day would have known it unless they were perusing his blog and could read Japanese. Uehara’s blog posts — translated for the Globe by Yohei Oka, a Harvard senior from Tokyo — provide a glimpse of Koji unfiltered. He dishes about himself, his teammates, his opponents, and, oh, the unforgiving nature of many in the Boston media, long a complaint of sports figures. “There were a lot of articles mentioning ‘nightmares,’ ” Uehara wrote after the Sox won the Division Series against the Tampa Bay Rays, thanks in part to his save in the clincher. The night before, Uehara had surrendered a walk-off home run to Jose Lobaton. Koji Uehara has carried a big load for the Red Sox, and he writes in his blog about the mental and physical toll it has taken. Uehara, a 38-year-old veteran of five major league seasons after a 10-year career with the Yomiuri Giants, has been a revelation for the Sox on the mound and in the clubhouse. Since Uehara became the closer by default in midseason, his performance has been unmatched in franchise history, and his personality generally has been nothing short of exuberant and inspirational. It’s fair to say the Sox would not playing in the World Series without Uehara. 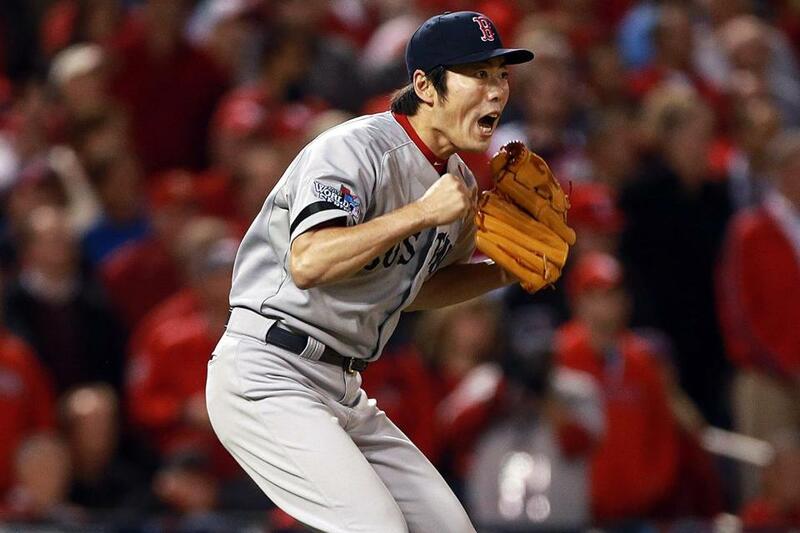 In Sunday night’s Game 4, he became the first Japanese pitcher to record a World Series save. He also became the first pitcher to end a postseason game with a pickoff. Uehara is eager to participate in another “champagne fight,’’ as his blog describes the celebrations that followed Boston’s first two playoff series. ■ When the Sox eliminated the Rays, Uehara posted a photo of Ortiz hoisting him over his shoulder like a 100-pound bag of sugar. ■ In a 1-0 loss to Detroit in the opener of the ALCS, the Tigers threatened in the ninth when Uehara let runners reach second and third before he wriggled out of the jam. He bristled afterward about media references to his abysmal performance for the Rangers in the 2011 ALCS and the Lobaton homer. ■ With no margin for error, Uehara brilliantly recorded a four-out save in a 1-0 Sox victory in Game 3 against the Tigers. ■ Uehara logged a five-out save in Game 5 in Detroit to preserve a 4-3 win. The demands seemed to be taking a toll. ■ With the pennant clinched in Game 6, Uehara was named the series MVP, and had his 7-year-old son, Kaz, by his side during the ceremony at Fenway Park. “I’m scared that it’s all too good to be true,’’ he confided on his blog. ■ Uehara reacted to the controversial obstruction call in Game 3 of the World Series by calling for video reviews of every disputed play, not just home runs. He went on to express his shame for putting Cardinal Allen Craig on base in the first place, and his pride in finishing off Game 4 in historic fashion. But Uehara emphasized that he and the Sox face far more pressing matters. After Monday night’s game, Uehara permitted himself a moment of pride.